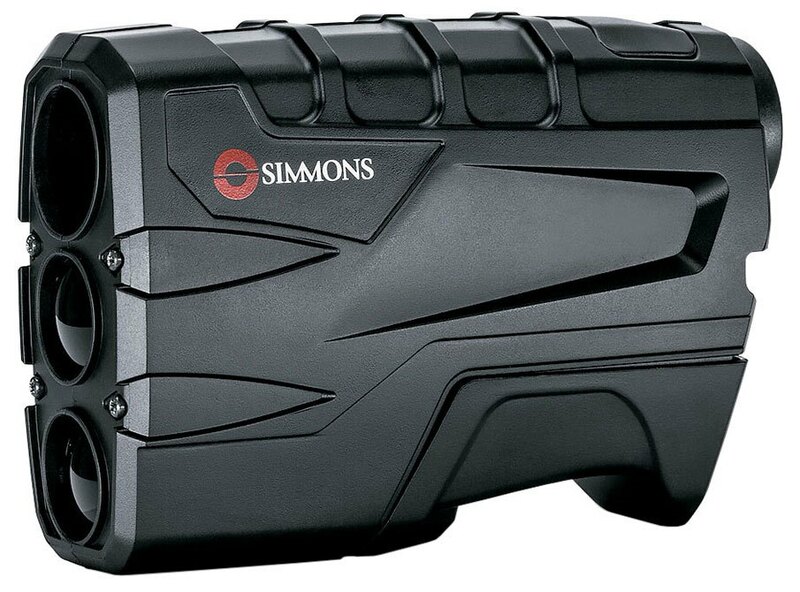 Simmons' Rangefinder/Binocular Combo delivers a money-saving optics package that combines a Volt 600 rangefinder with Simmons 10x42 Binoculars. Binoculars feature clear fully-coated lenses so you can pick out a bedded buck on a distant ridge. Durable rubber molding stands up to harsh conditions. Optics come packed in a watertight, crushproof and dustproof case with a shock-absorbing liner. Volt 600 Rangefinder measures range accurately between 10 and 600 yards, making it compatible with both rifle and archery hunting. 4X magnification allows you to easily pick your target. Easy-to-read in-view LCD. Simple one-button operation. Includes carrying case. For more information, please visit //www.cabelas.com/product/simmons-174-rangefinder-binocular-combo/.